The Institute of Directors (IoD) has launched its annual search for Northern Ireland’s most outstanding business leaders. Entries and nominations open this Friday, 16th November for the prestigious IoD NI Director of the Year Awards 2019, sponsored by First Trust Bank. “With the high calibre of entrants and nominations received each year for the IoD NI Director of the Year Awards, it is unsurprising they are considered among the premier accolades available to local business leaders. “The awards form part of the wider IoD Director of the Year Awards, so category winners are also put forward to be shortlisted for the national ceremony, where Northern Ireland directors have enjoyed unrivalled success in recent years. “Congratulations this year went to Gary Thompson of the Northern Ireland Fire and Rescue Service and Denis Lynn of Finnebrogue Artisan who collected the UK Director of the Year awards for inclusivity and innovation, respectively. “This is our call on inspiring business leaders and entrepreneurs across Northern Ireland to help shine a light on the importance of impactful leadership to both our economy and society, by entering the 2019 ‘Director of the Year’ Awards. 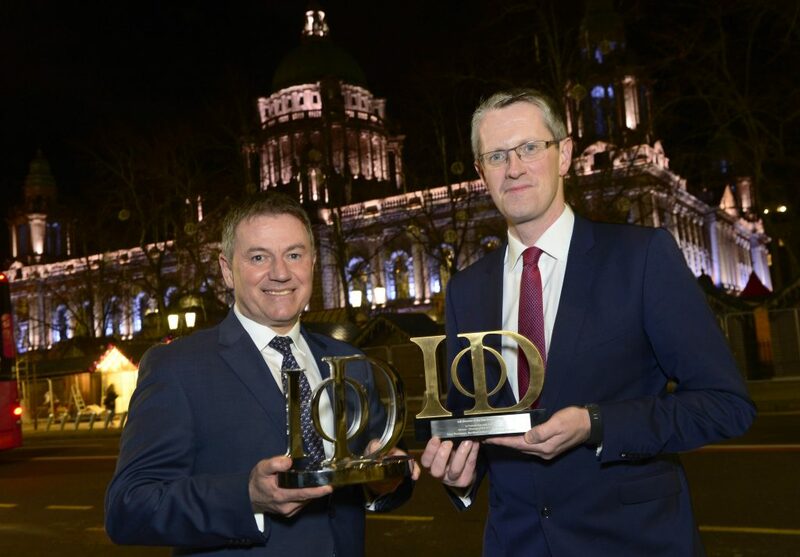 Category winners will be announced at a ceremony at The Merchant Hotel, Belfast on 17th May, 2019 and will each then have the chance to be shortlisted for the IoD UK Finals later in the year. Overall UK Director of the Year Award winners to have hailed from Northern Ireland in recent years include Brendan McGurgan, CDE Global in 2016 and Simon Hunter, Hunter Apparel Solutions in 2015. The closing date for entries or nominations, which can be submitted online, is 1st February, 2019.